MARSING, Idaho (AP) - For more than a decade, the vast farm fields of rural southwestern Idaho provided Enrico Ponzo the isolation he needed to hide from his past as a former New England mobster accused of trying to whack his boss. He introduced himself to his neighbors as Jeffrey Shaw, a man who went by the nickname "Jay." He paid for everything in cash. He bought his house in his girlfriend's name. Ponzo couldn't hide his vaguely New York accent. He couldn't keep his stories straight. He couldn't hide his expertise with a gun during a trip to the local shooting range. And in a community where Ponzo was surrounded by wide open ranch land, his neighbors could tell he didn't know anything about farming. "My name is Enrico M. Ponzo," he said, wearing a yellow jumpsuit with his hands cuffed behind his back. "We always felt that something was a little strange," said Sharie Kinney, a neighbor. Ponzo now faces charges from a 1997 indictment accusing him and 14 others of racketeering, attempted murder and conspiracy to kill rivals. He is also charged in the 1989 attempted murder of Frank Salemme. 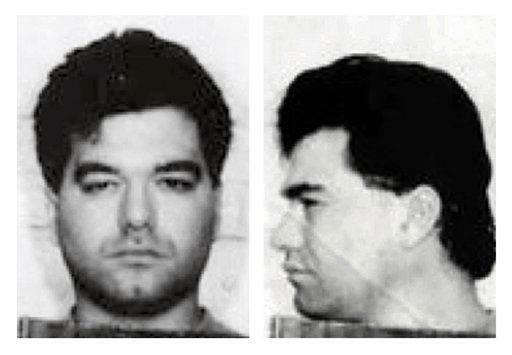 Known as "Cadillac Frank," Salemme is the ex-head of the Patriarca Family of La Cosa Nostra. "My dad just said, one time (Ponzo) was telling him, 'Yeah, I was in the military and 15 of us got blown up and I was the only one that survived,'" Clapier said. "Well, isn't it weird that the number of people that were indicted was 15? ... Isn't that kind of bizarre?" "Every time I talked about a gun he'd say 'I've got one of those,'" said Clapier, who went out with Ponzo to shoot guns on a hot September day last year. "After we got in the truck and were leaving, (his son) said: "Man, that guy knows how to handle a gun," Clapier said. "When he go up to shoot it was just: Boom! Boom! Boom!." "We got in a big argument one time about something. I kind of told him 'You know what Jay, just get out of my face. I don't want to talk to you.' But then he came right back the next day smiling and said: 'It's ok,'" Clapier said. "I feel like I dodged a bullet. Literally." "He said 'I've been arrested, it's all a bunch of bulls---, but I'm going to be in here for a long time. Would you please feed my cows?'"